Conquer wind with a few smart hair tools. A windy day can be aggravating when you want your hair to look its best. When you've just teased and twisted your hair into a masterpiece for a special event, a big wind is especially bothersome. To make sure you show up at your destination looking put together and fresh, take a few steps to protect your 'do. Apply a dime-sized amount of smoothing, moisturizing hair serum before you style your hair to cut down on frizz and help hold your hairstyle in place. Clip your hair back with a few large clips. If you wear your hair down, or even mostly down, clip back the loose sections so that the strands can't flap freely in the wind. Pin long hair back into a tidy bun or tie it in a ponytail. Unpin the bun and tousle your hair with your fingers once you have escaped the wind. 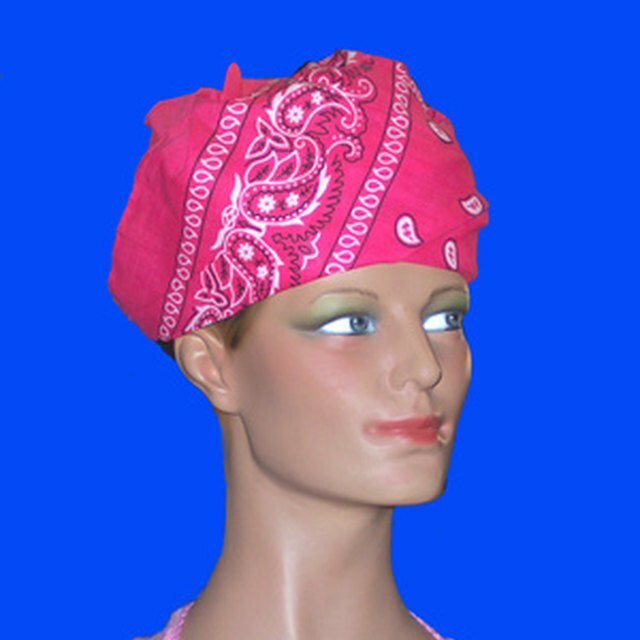 Wrap your hairdo in a silk or cotton scarf. Fold the scarf into a tidy triangle. Place the long, folded side on the top of your head. Wrap the long edge down the sides of your head and tie the the two ends at the nape of your neck in a sturdy double knot. The scarf will essentially cut the wind out of the equation and, unlike a hat, will not produce that "hat hair" look. Choose a scarf that is long enough to cover the back of your head. Keep your hair well-moisturized during cold winter months to avoid damage. Refrain from applying heavy amounts of hairspray or drying products so your hair is less likely to be frizzy. Spritz a bit of dry shampoo onto your hair after you reach your destination to freshen up your locks.